The Galleons Passage is on track to make its arrival into Trinidad and Tobago on Monday. Finance Minister Colm Imbert on Sunday denied that the vessel encountered difficulties and stalled in Venezuela. 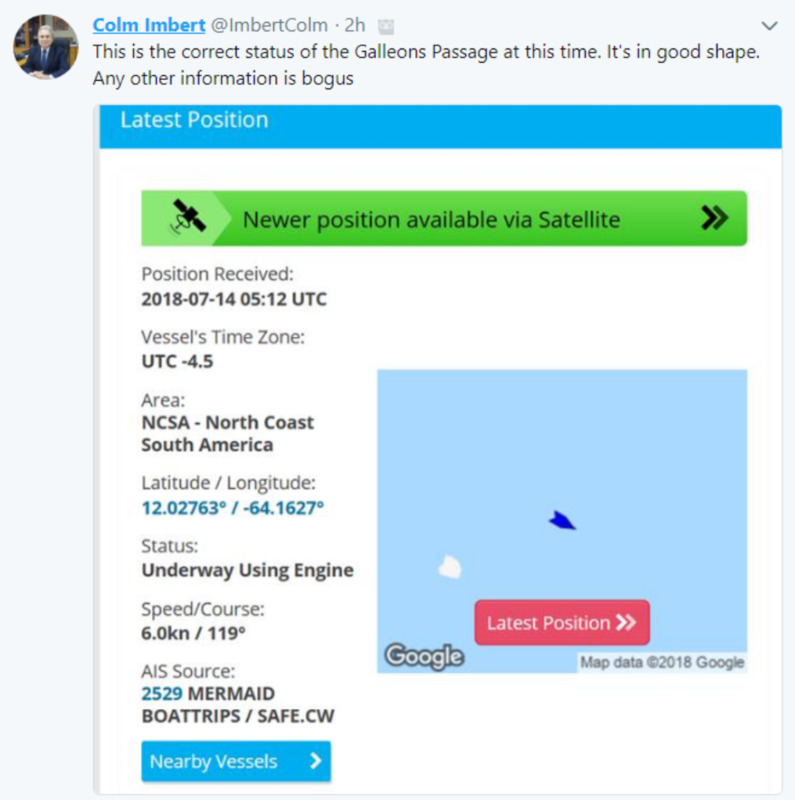 “Contrary to fake news being circulated by desperate opposition activists, the Galleons Passage is currently sailing comfortably at 7 knots towards Port of Spain. ETA to the pilot station is July 16th at 1400LT. 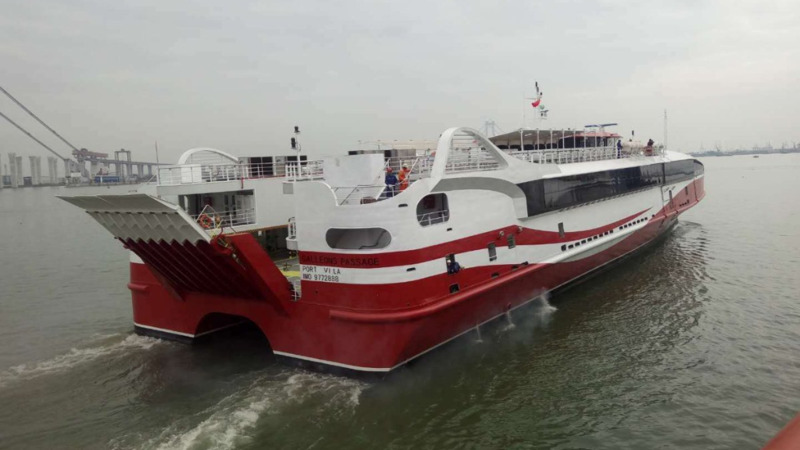 This brand new vessel is in perfect condition,” a post from the Minister’s official Twitter account read. 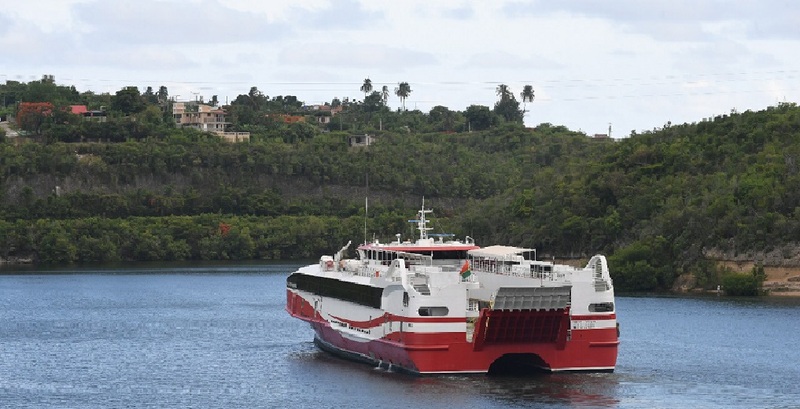 The update from the Finance Minister followed claims made by former transport minister Devant Maharaj that the vessel stalled after running out of fuel just off the coast of neighbouring Venezuela. 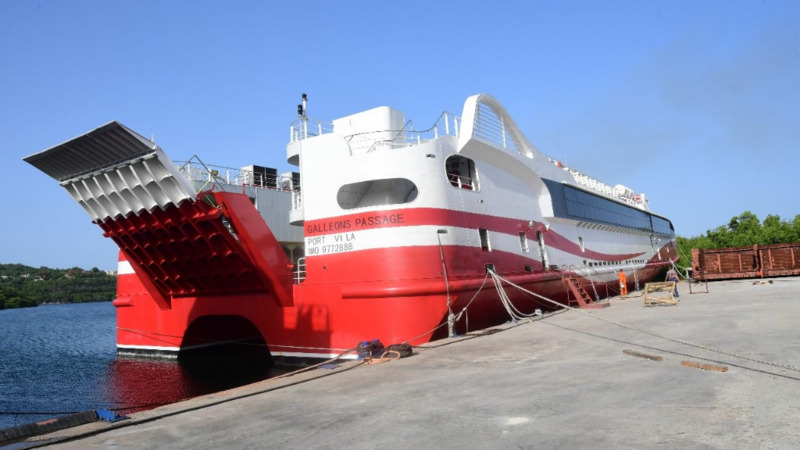 Maharaj further claimed that the National Infrastructure Development Company (NIDCO) dispatched a tug and barge to refuel the vessel, which would take a minimum of 24 hours to reach the Galleons Passage. Imbert rubbished these claims, assuring that the vessel is in good shape. Also addressing claims that the vessel failed inspection, the Minister said the Galleons Passage has received category 1 status from Lloyd's Register, which is the highest international rating. He labelled any other information as “bogus”.